Yeah, this article’s for you guys, and why shouldn’t it be? Emulation users don’t get enough credit for keeping the gaming industry alive. Were it not for save-state I would’ve already convinced myself that gaming companies were out to get me, shaved my head bald, donned a brown robe, and became a mysterious ascetic monk, eating only through donations of bread (and video game tips), rather than writing for you good folks here on Gamerheadlines. Now, this article’s focus will be on lesser-known emulators that, for my money, don’t get enough credit for their enormous contributions to society and world peace at-large. So, while we all know and acknowledge emulators like ZSNES, SNES9x, and NES.emu, they’re way too popular to be on this list. So, let’s get down to business, shall we? My top 5 Android Emulators that you’re probably not using! I honestly can’t gush enough about this wonderful emulator. Drastic, a Nintendo DS emulator was the first of its kind to take Nintendo’s beautiful handheld system and map it flawlessly onto the world of emulation. With a fully-functioning touchscreen, graphic accelerators, multiple screen options (as the DS has 2 screens to take into account), and even the ability to customize the look of the emulator-itself, Drastic goes above and beyond what an emulator should be and, quite simply, sets the standard for all other emulators out there. If I were to be left alone on a deserted island with only 3 items, I’d take a piece of flint, a water filtration device, and Paula Dean; but don’t you think for one second that I wouldn’t be thinking of Drastic each and every day. Here’s hoping that the Drastic team is able someday to do for the Nintendo 2DS (and maybe, even the 3DS) what it did for its predecessor, as all of us Pokemon X and Y fans out there cringe at the thought of our wonderful cartridge biting the dust. Long before the glorious Playstation 4, its expensive pappy, the Playstation 3, and the disc-read error-ridden step-child, the Playstation 2, there was the wonderful, majestic, and downright spectacular Playstation 1. I can tell you from experience that, for you RPGs out there, there is no better system for your gaming needs, except perhaps the Super Nintendo. And for you RPG fans who also happen to have Android devices, the gravy train doesn’t end there. There exists an emulator in FPSE that can run almost every Playstation 1 game flawlessly. You heard that right. FPSE takes Playstation emulation to a whole ‘nother level and, for my money, dwarfs its competition in almost every way imaginable, with controller-mapping, HD graphic plugins, sound tweaking, and much, much more. Which begs the question, if this is #2, what could possibly be #1? 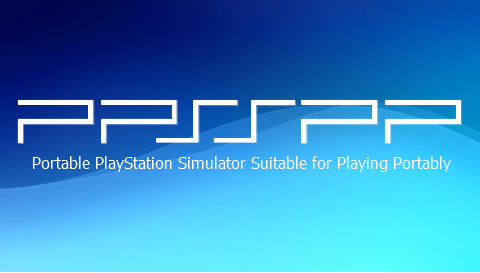 Major props to the PPSSPP team for this gem; as it emulates most PSP games near-flawlessly, providing an amazing interface as well as a great controller mapping scheme for the more controller-centric of us out there. And for those of you whose curiosity lies within the graphics, yes, they’re amazing. ‘Nuff said. I hate going to Walmart. There, I said it. Walmart, the staple of modern society, shunned by a lowly gamer. You see, I remember Walmart for what it once was. A beautiful land that, once traversed upon (while holding your mother’s hand tightly, of course) yielded surprising and fulfilling arcade adventures, just waiting to be conquered by 5-15 year olds everywhere. Then the Super Nintendo and Sega Genesis came out and, while arcade gaming persisted for some time after, people never really could wrap their heads around dropping $30 in quarters on a game that they could just go buy for their Super Nintendo or Genesis at home, considering they ported a large number of their games from their arcade counterparts; and so, it seemed that the arcade was doomed, never to be thought of again. That is, until MAME4Droid came out for Android! 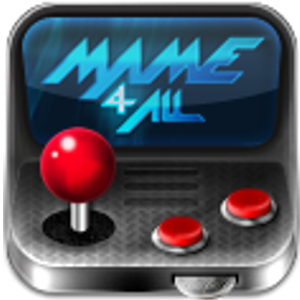 MAME is a great arcade emulator for those of you owning arcade systems whose lifespan you question daily. So, for those of you lucky enough to own WWF Wrestlefest, MAME4Droid is the emulator for you. Dolphin is a Gamecube and Nintendo Wii emulator that, admittedly, has a long way to go in its development. Many games won’t load at all, and, those who do often drudge along like a slug on Nyquil. 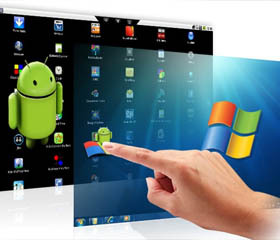 However, it doesn’t change the fact that Dolphin is a solid idea and effort that, once finished (Dolphin currently resides in Alpha Hotel) will rival any and all other emulators for the Android platform.